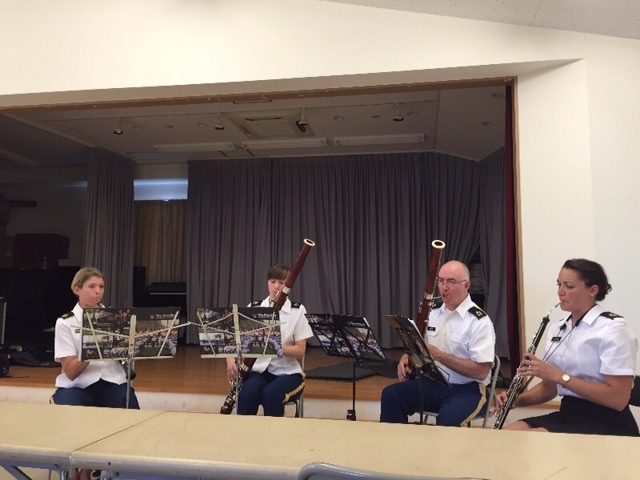 This past August members of the West Point Band travelled to Tokyo to perform at the annual International Double Reed Society Conference. While we spent the majority of our time attending the conference, Master Sgt. Glenn West, Staff Sgt. Anna Pennington, Staff Sgt. Briana Lehman, and I took a day to visit and perform at the Kiyose Children’s Home in Tokyo. I’ll be honest, before our trip I didn’t know that Japan still had orphanages, and the thought brought to mind scenes reminiscent of a Charles Dickens novel. But when we visited Kiyose, I was pleasantly surprised at the facilities of this particular children’s home. According to research done by the Japanese Ministry of Health and Labor in 2014, almost 29,000 children are living in orphanages throughout the country. Of those kids, over 14,000 had previously suffered from neglect or physical, sexual, or emotional abuse by their primary caretakers. While many orphanages can house over one hundred children, the Kiyose Children’s Home is a smaller home that enjoys support from Living Dreams. Living Dreams is a non-profit organization that provides artistic and technological training to these children. Directed by Michael Clemons, a California-born accountant, Living Dreams focuses on finding the children’s passions and strengths, not only to develop them into well-rounded individuals, but also to gain access to possible careers that might otherwise be unattainable. 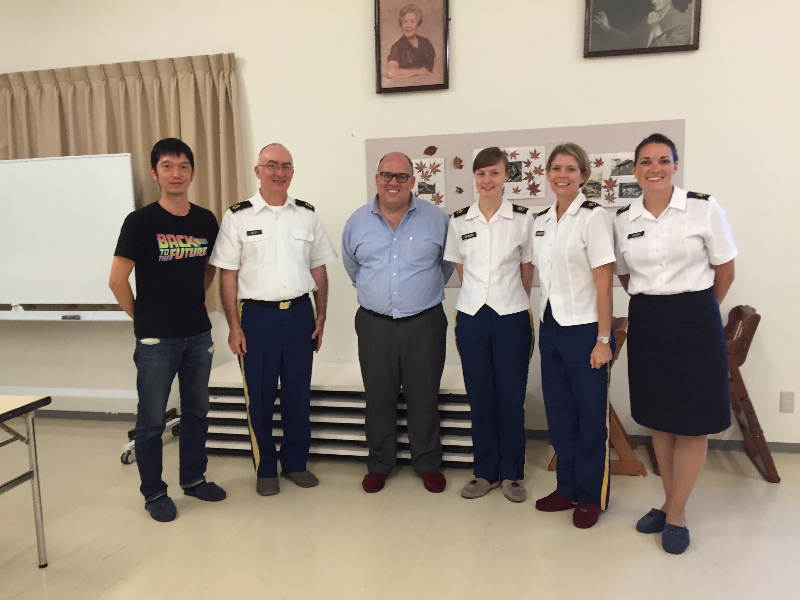 The USMA Band’s double reed section made it a top priority to visit Kiyose and meet the children there. Staff Sgt. Pennington recalled, “The kids were a little shy at first, but as soon as we started playing our first tune, they were so enthusiastic! And it was a blast to work with them on their “straw-reed” craft instruments.” We presented two short performances for different age groups while at the Kiyose Children’s Home, and I had a hard time focusing on the music; they were so darn cute! Michael educated us on the Living Dreams program and while it sounded interesting, I didn’t really understand the significance of the program until the end of our second performance. While we had played Master Sgt. Reifenberg’s “American Folk Suite,” the kids had recorded the music and were then able to upload it onto a really cool movie they had made that week. This was done in a matter of minutes, which is more than I can say for navigating my Facebook newsfeed. Michael explained that Living Dreams enables these kids to “participate in 21st century learning” and gain the “skills of communication, collaboration, and seeing the world in a more holistic way.” I like to think that our visit might have given the kids another way to understand their world, through the power of music. Members of the West Point Band pose with Noriaki Haba and Michael Clemons, director of partnerships for Living Dreams. It comes down to this: when words fail, music can still connect people. While we didn’t speak a word of Japanese (other than “sushi please!”) and the kids couldn’t speak a word of English, it was clear that the music we played and the songs they sang were easy to understand by everyone. I’m honored to have met those kids, and while playing for the IDRS conference was a great boon for my professional development, it was our visit to the Kiyose Children’s Home that made the most impact. It reminded me that music can bridge cultural gaps in a way that diplomacy sometimes cannot. And as a member of the West Point Band, I get to do that every day. What happens at West Point’s 100th Night Show?